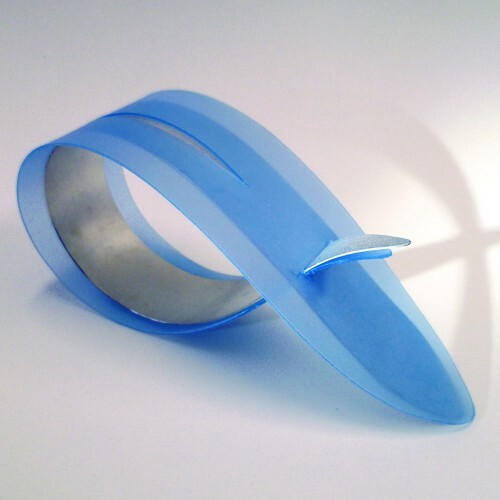 ‘Incision Bangle’ – answered the title ‘Plastic Surgery’ posed by the Bluecoat Display Centre. I chose to investigate further, plastics as a precious material, and designed a collection around an investigation of fundamental ‘beautifying’ plastic surgery methods, it inspired a sculptural collection, with clean lines, incisions, conduits, and seamless, flawless surfaces. It was a collection that at first looking people found absolutely entrancing and beautiful, only after reading on did they realise the more clinical, sinister quality and my intention of raising a discussion.